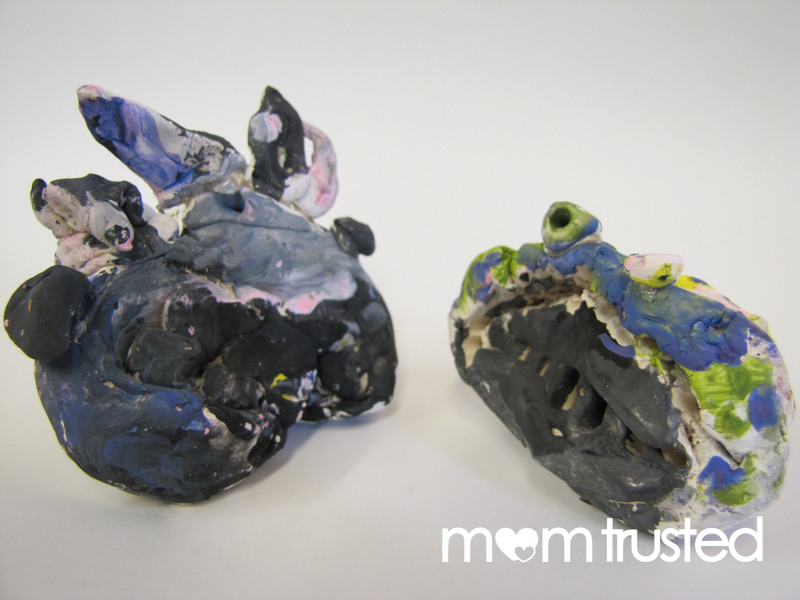 We recently made these “pinch pot monster texture projects” in my classroom, and it was such a fun project! I think the lessons involved can easily be implemented at home too. So we started with air-dry clay, and made classic pinch pots. After rolling a handful of clay into a ball, students stick their thumb into the middle, and pinch with their other fingers, eventually forming a tiny pot. 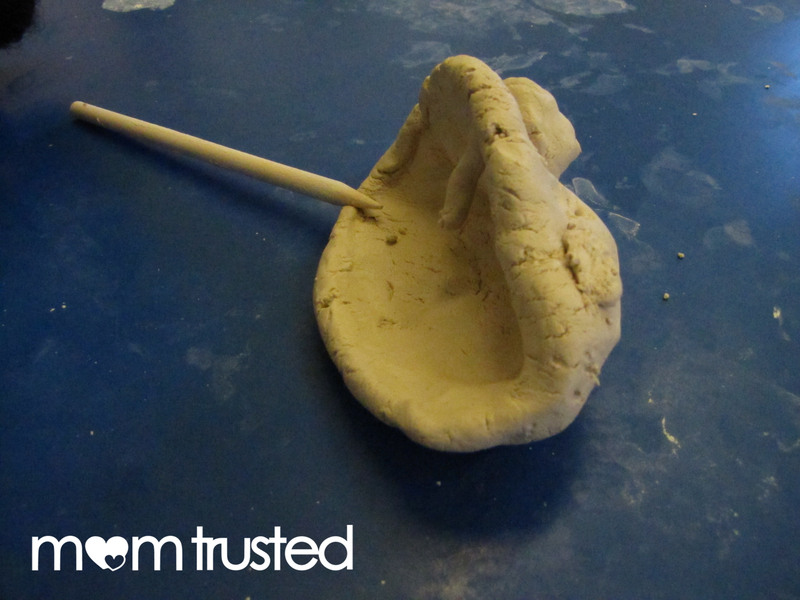 This is a basic but important clay manipulation that even master potters use! 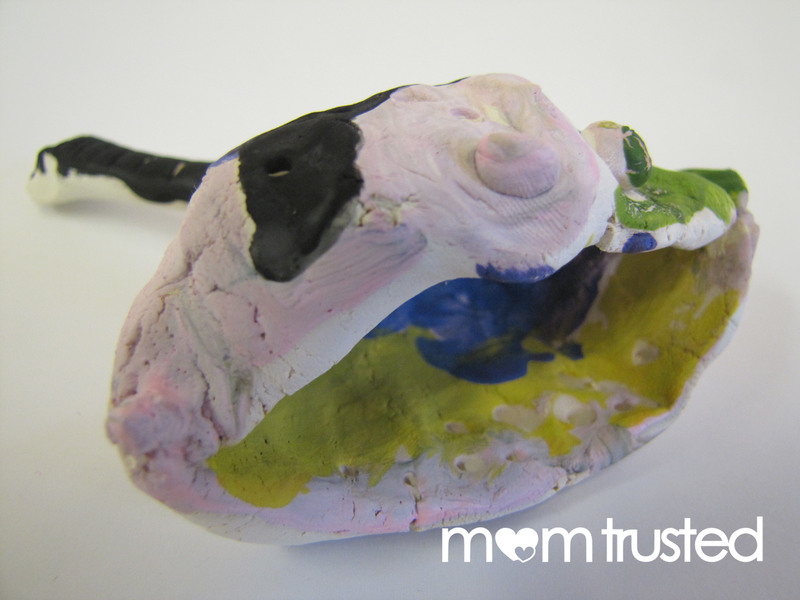 Once the pot is made, kids can set it on it’s side, making a big monster mouth! 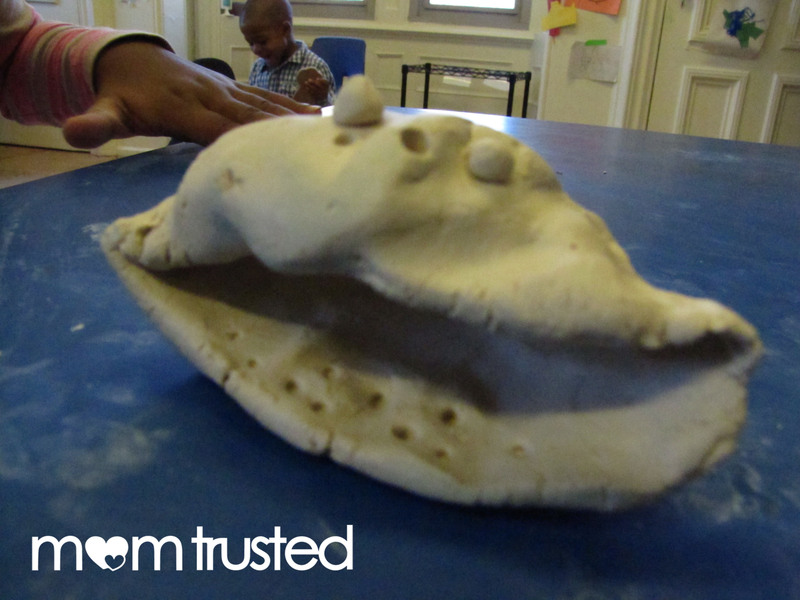 Add teeth, claws, eyeballs, a tail, or anything else with extra bits of clay! 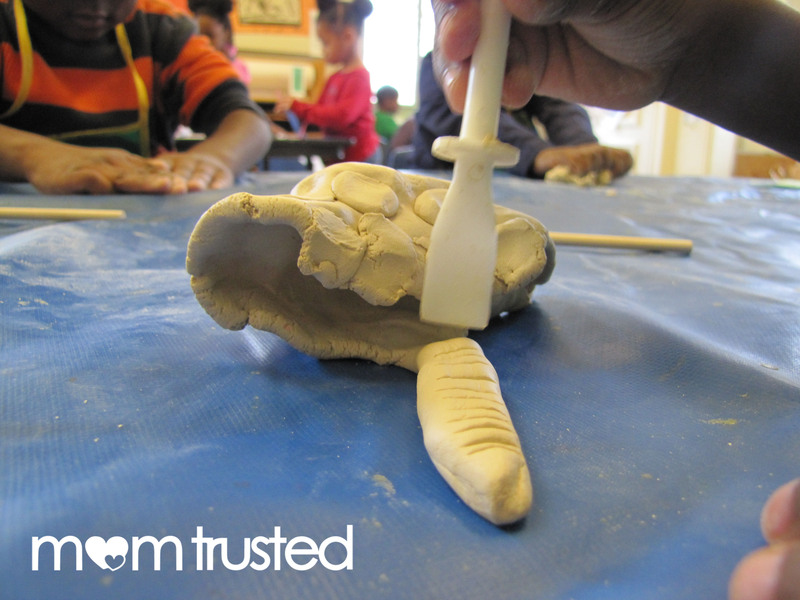 To add texture (the whole point of this project) use wooden and plastic sticks to make bumpy, scaly, or ribbed textures. The air dry clay should be ready to paint after drying for a day or two. We painted ours with tempera paint (instead of acrylic, which doesn’t wash out so well! ), and let them dry for another day before sending them home. They turned out so crazy! I think this would be a super fun at-home project on a rainy day. 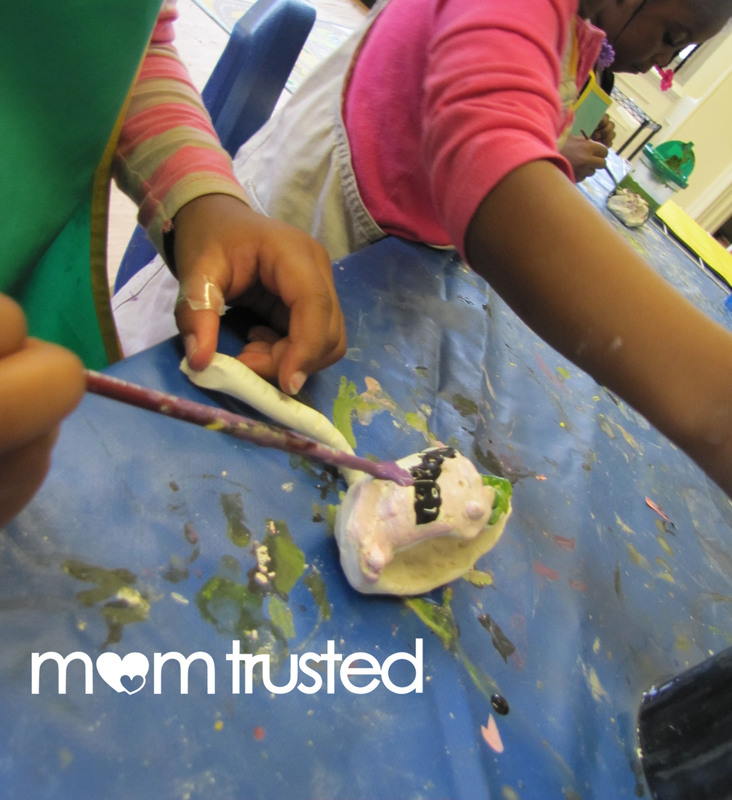 It teaches kids the vocabulary of texture, and they’ll learn how to carefully control their hands and the medium. 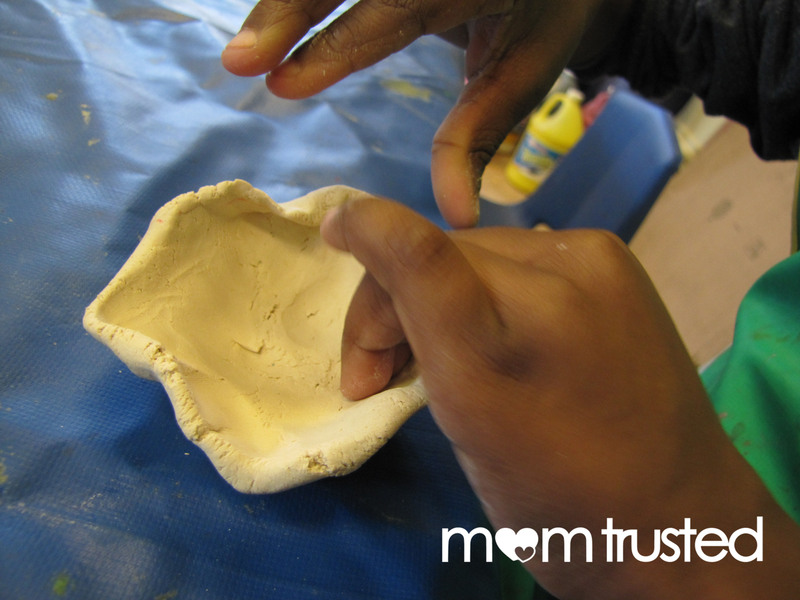 Using tools to create texture will encourage dexterous movements with their fingers.